DNS Monthly Meetings will be held on the FIRST TUESDAY of each month (except July and August) at 7:30 p.m. at Benediction Lutheran Church, 5575 6th Ave, Tsawwassen. After the business is concluded, and a refreshment break, there will be a Presentation by a guest Speaker (8:15 pm to 9:45 pm). Topic: Double- Crested Cormorants – Is this bird a friend or foe? The behaviours, breeding and wintering numbers of Double-crested Cormorants in our coastal waters will be described. 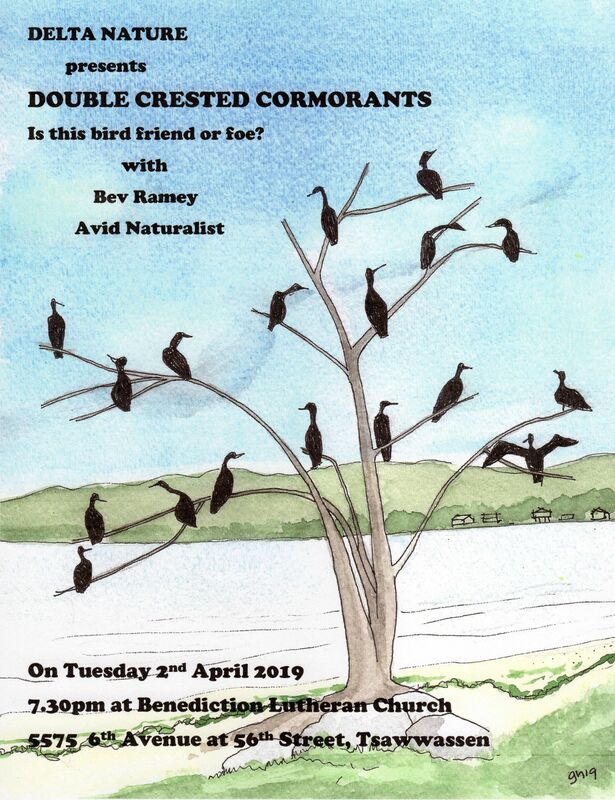 The presentation will then provide a brief world perspective on the diverse cultural perspectives of cormorants from centuries past, followed by present day concerns where thousands of Double-crested Cormorants are being killed in eastern Canada and the US. 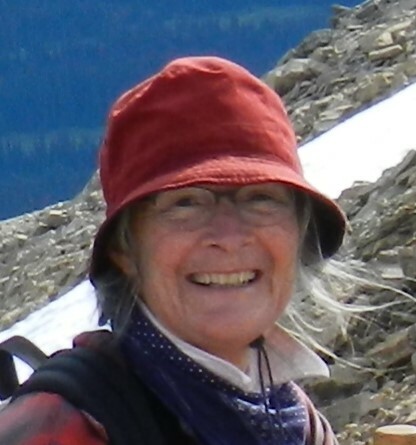 Presenter Bev Ramey is well-known to naturalists through her volunteer work with BC Nature and Nature Vancouver for over the past decade and previously for her career as a park planner with Metro Vancouver Regional Parks. Topic: Southern Resident Killer Whales: Is their time running out? What will it take to create conditions within the Salish Sea that will support the recovery of endangered killer whales? A 2017 study found that Chinook salmon was the most important factor affecting population growth in Southern Resident killer whales, but reduced ability to successfully catch salmon due to vessel presence, and contaminant burden, all combine to inhibit recovery. This talk will discuss Chinook fisheries and vessel management strategies (ex. for shipping and whale watching) needed for killer whale recovery. It will look at immediate and long-term fisheries issues that affect Chinook and whales and discuss current initiatives underway by the federal government, and whether these initiatives will be enough to recover Southern Resident killer whales. Misty MacDuffee is a research biologist who leads the Wild Salmon Program for the Raincoast Conservation Foundation. Her current work focusses on juvenile Chinook salmon in the Fraser River estuary and identifying estuary restoration objectives. She also works with a science team addressing and understanding the implications of declining Chinook abundance and fisheries management on Southern Resident killer whales. She is a representative to federal working groups on the management and recovery of Southern BC Chinook and SRKWs. Misty publishes on salmon, their ecosystems and their management, and has testified as an expert witness on these topics. Tentative schedule for DNCB outings: see DNS Upcoming Events page.